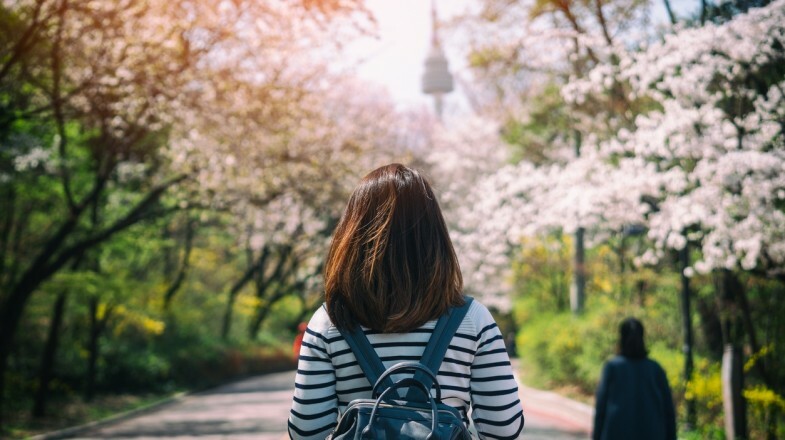 Whether you’re just visiting Seoul or you’ve lived here your whole life, you no doubt love the city’s affordable public transportation, beautiful public parks, high speed internet, and their friendly service-oriented culture. Doesn’t everyone need an escape from the hustle and bustle of the city life every now and then? 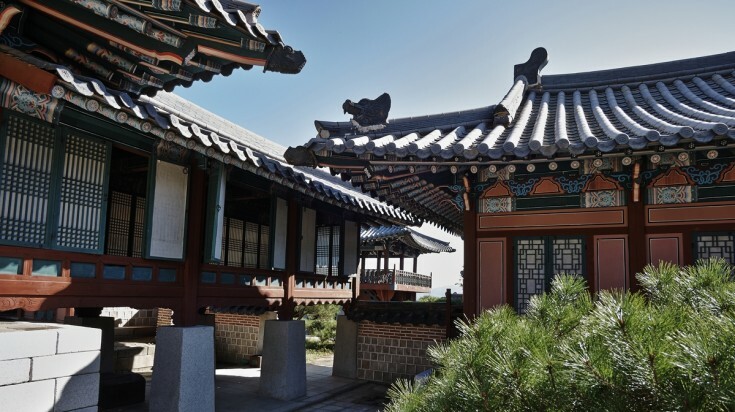 That is why we put together the best suggestions for day trips from Seoul that you can jump to when you need that break. Whether you’re seeking a nature getaway, an adventure, or to learn a bit of history, we’ve got a little bit of each. 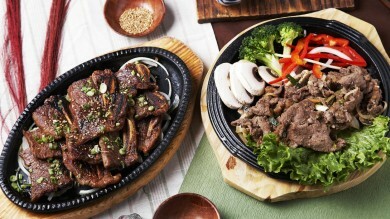 While you are at Seoul, check out some of the delicious street foods that you can taste. If you are visiting South Korea for the first time then check out the top things to do that can make your travel plans more exciting! Here’s our favorites all lined up for you to start checking off. This is definitely one for the more adventurous type. In recent months, it seems this aggressive area is now becoming potentially less hostile than in past years. It’s definitely a great experience to add to your bucket list to learn more about this politically fused area being one of the most tense borders in the entire world. The only way to visit the DMZ is by tour group which helps to guarantee both safety and provide you with great historical information. Make sure to check which tour group you sign up for as some don’t go close enough to the DMZ to get good enough photos. 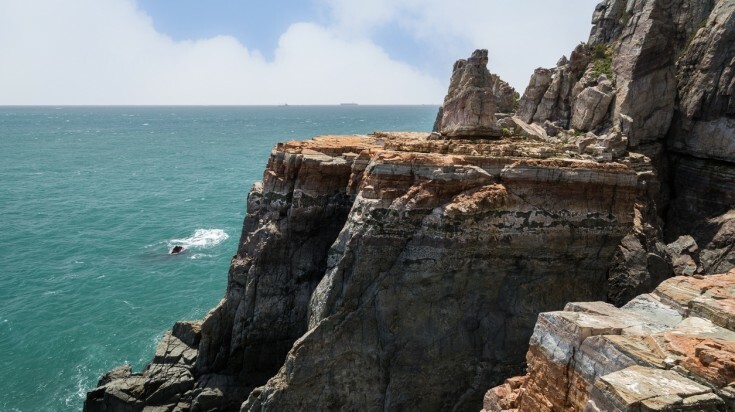 Kick off the day trips from Seoul with a “train ride to Busan” which although it may seem a scary idea due to the movie released in 2016, it’s actually a very safe and enjoyable ride to this southern city of South Korea. The bus takes about 2.5 hours from Seoul and is the second largest city in South Korea. Taejongdae Resort Park: Sea-side park with cliffs reaching up to 250 meters above sea level overlooking the ocean. Haedong Yonggungsa: One of the many Buddhist temples in Korea, but this one being extremely unique as it is located on the shoreline. Hur Shim Chung Spa: One of the oldest spas in South Korea is known for being rich in natural minerals and has natural hot spring as well. While Suwon seems like a part of Seoul, it’s actually a completely separate city and has plenty to keep you busy for the day. You can access Suwon via train for just under an hour ride. 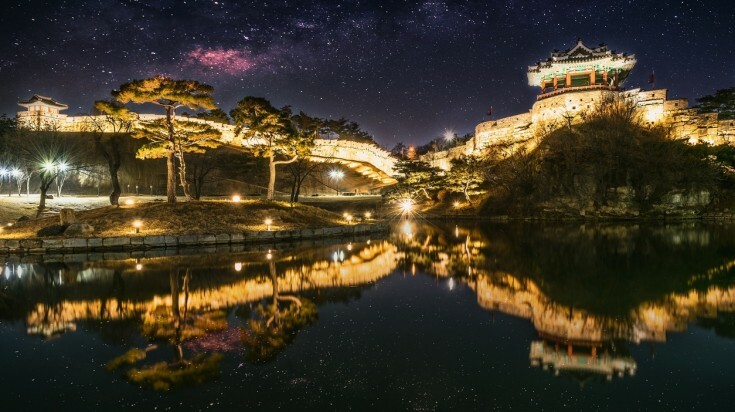 One of the most popular activities is exploring Suwon Hwaseong which is an 18th century fortress listed as a UNESCO World Heritage site in pristine condition. Visiting the Paldalmun Gate at the southernmost part of the city brings you to old town Suwon where you can explore the traditional local markets, musical concerts, and watch boats float by on the canal. 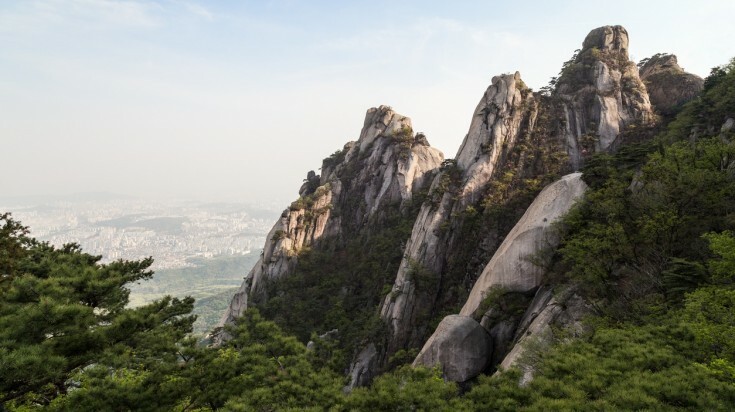 Located just to the southeast of Seoul, Yongin is becoming a huge tourist go-to place offering not only both entertainment and history for it’s visitors. 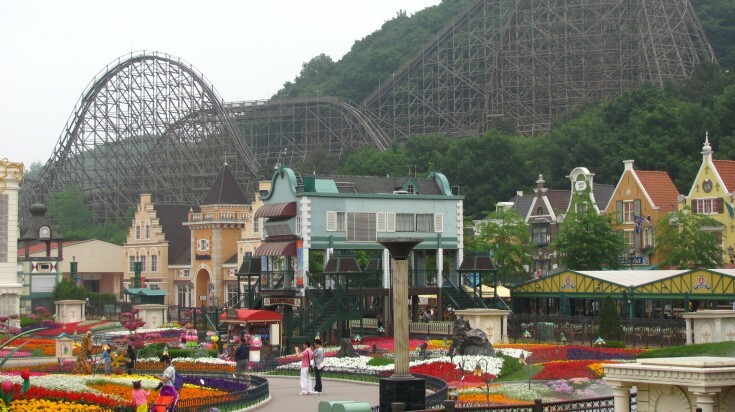 Korea’s largest amusement park, Everland, featuring rides, shows, shops, and a zoo. At the famous Korean Folk Village, you’ll see hundreds of traditional Korean houses and be able to recreate traditional crafts from their early beginnings. This is one of the best day trips from Seoul as it offers not only exciting entertainment but also some great history lessons. 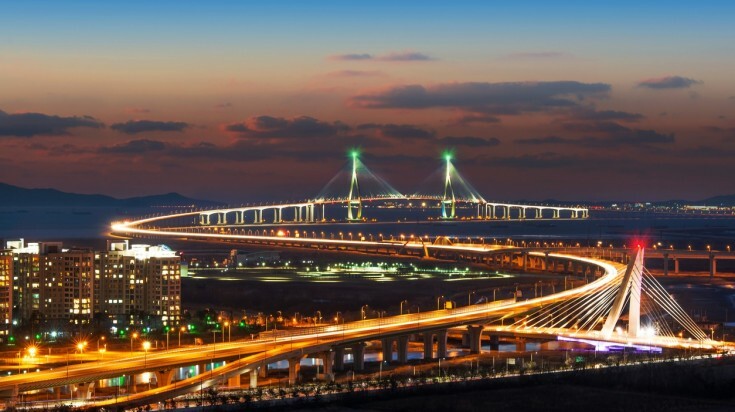 While Incheon is mostly known for its airport being the largest international one in the country, it also is home to their famous Fairy Tale Village and China town. Exploring China town, you can expect plenty of fresh seafood, Chinese dumplings and of course those ruby red lanterns decorating every street. The Fairy Tale Village is certainly an interesting place with every building hand-painted to look like princess castles or children’s book scenes. You’ll also find rainbow painted walkways and plenty of story book character statues covering the street corners and building rooftops. It’s a very entertaining walk through the village. 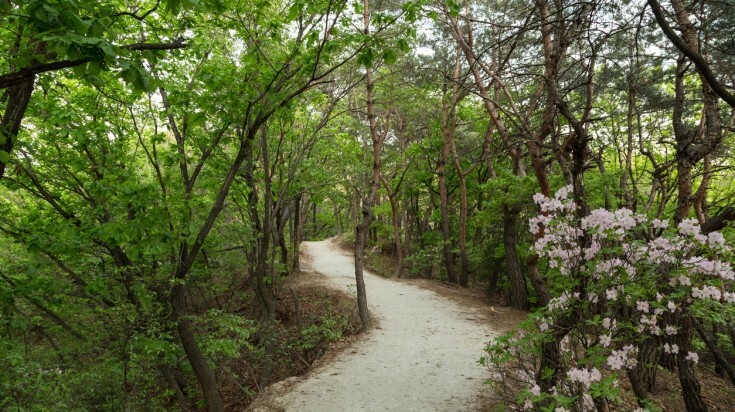 Many people are surprised that situated next to Seoul is a huge national park with so much to offer. There are many different ways to get to the park as its entrances are all over the city each entrance offering a different hike ranging from 2 hours up to +8 hours day hikes. 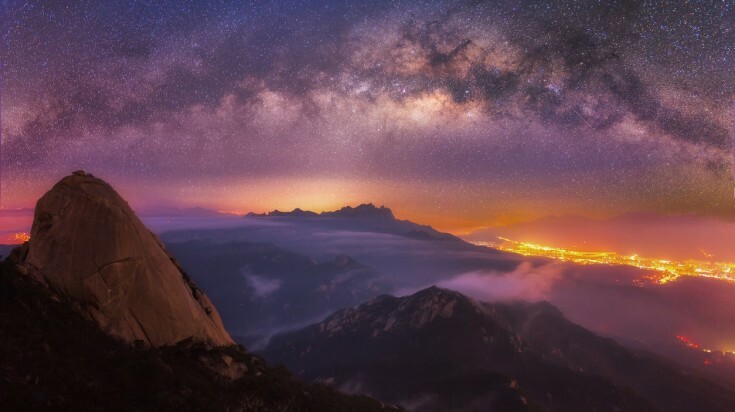 As you climb the mountains of Bukhansan you’ll see the entire expanse of Soul down below. I highly suggest visiting the park in the spring just as the flowers begin to bloom or in the fall months as the trees turn into an autumn rainbow and drop their leaves in preparation for winter. If you want a little bit of man-made art, then the Pocheon Art Valley is a perfect place to go. While it is possible to get here by a bus, it is suggested to either rent a car or take a tour group which would include additional stops to help you maximize your trip. 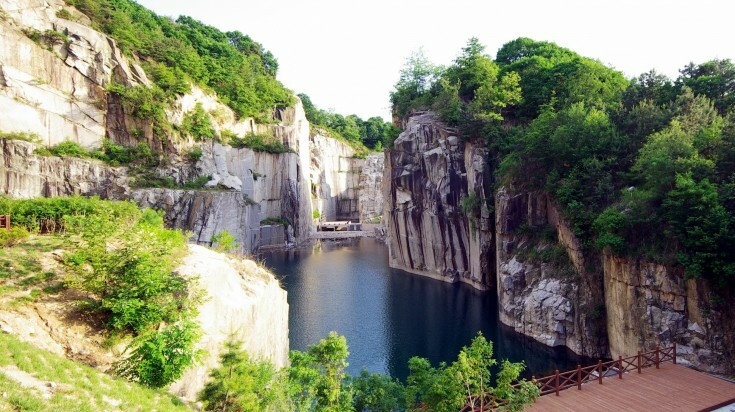 Made out of an old rock quarry, the city of Pocheon turned it into a park with a beautiful lake made from the quarry filling with rain water over the years. The rocks walls around you are perfectly carved showing many of it’s different colored layers. It’s packed full of many perfect photo spots! Bringing supplies for a picnic is highly suggested as there are plenty areas to spread out your blanket and enjoy your lunch. This little town located an hour by train from Seoul is perfect if you want to get a little shopping done. The town’s name Chuncheon means “traditional market”. 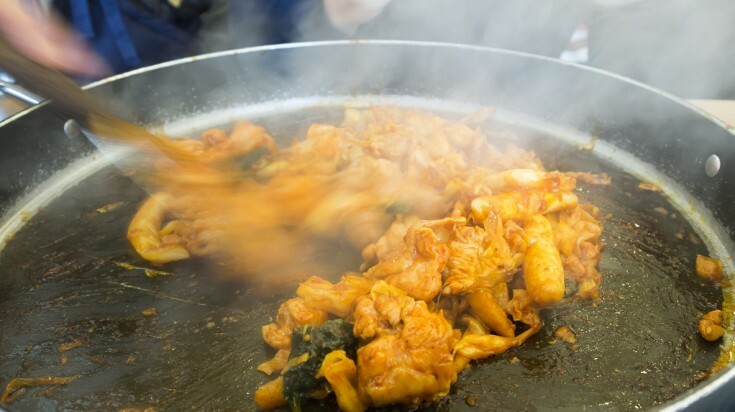 Every 5 days the traditional market is setup and is perfect for trying some of the best delicacies that Korea has to offer including spicy chicken stir fry, buckwheat crepes, and roasted chestnuts. It’s also worthwhile to stop over at the Cheongpyeong Temple located just outside the city with the beautiful mountains in the backdrop. 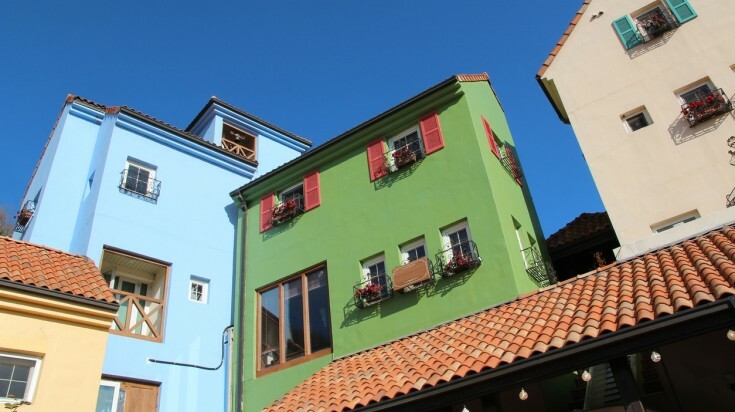 If you still have time by the end of your day, there is a small French cultural village called Le Petite France which really sticks out with their colorful buildings and live music. If you’re a fan of Korean dramas, then Gapyeong is definitely one of those day trips from Seoul that you must do. Located just an hour out of Seoul by train and offers you a peaceful relaxing getaway from the big city life. Best visited in the Fall, this very calm town is known for Nami Island being a filming spot for the “Winter Sonata”. 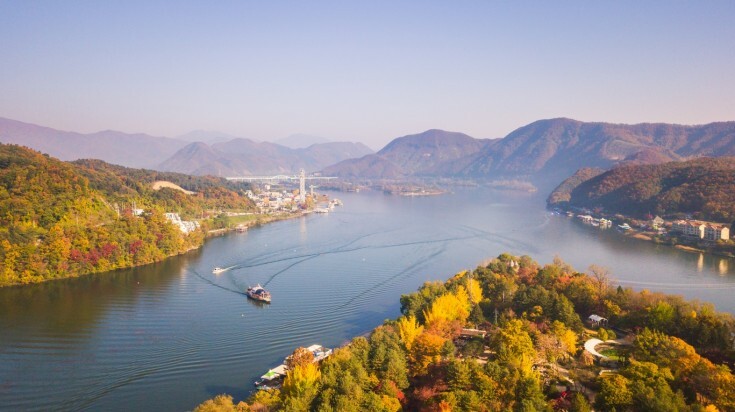 The most well-known attraction is the Cheongpyeong Lake which has an endless supply of water sports including jet skiing, water skiing, swimming, inflatable obstacle course, and much more. The largest beach on the western coast of South Korea and known for it’s beautiful white sand that stretches almost 4km. There are some great activities including riding banana boats, exploring grape vineyards, or relaxing on the beach enjoying the sun, sand and seafood. There is also a very unique experience of zipping down the coastline in a private open electric railway car. 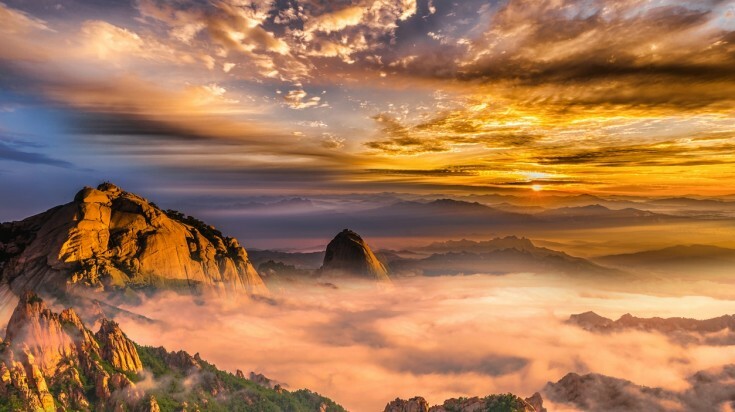 No matter what your interests, South Korea has some of the best places to visit in Asia and with their extremely efficient railway system, you can get to most of them within a day. Keep exploring and discovering new reasons to love Korea! 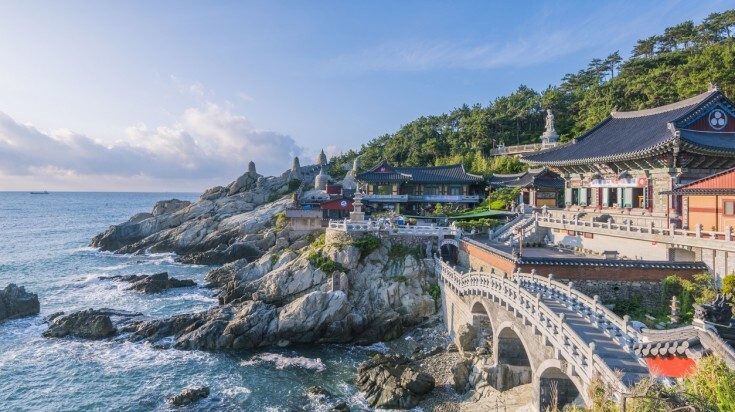 If you would like to experience the best of South Korea then please send us a trip planner request and we will connect you with the most reliable travel expert in South Korea. For more travel advice, please do read the best time to visit South Korea before you plan your holiday!